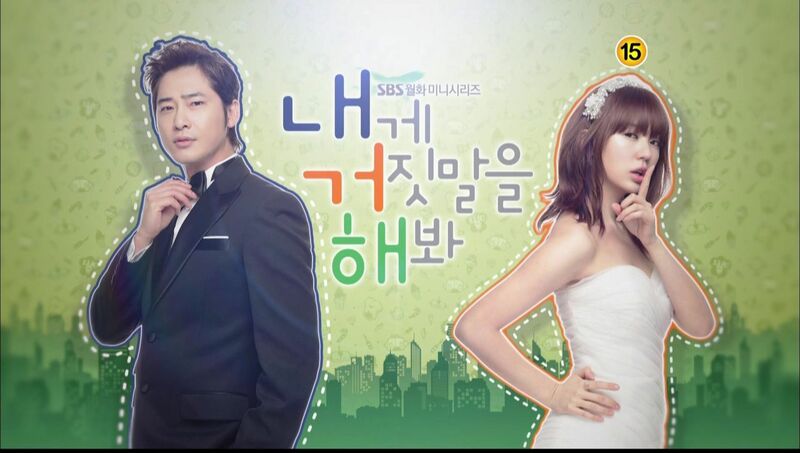 Episode 3 of tvN Wed-Thurs drama Encounter (Boyfriend) has arrive and…..yup, I’m still totally in love with this show. It grabs my heart in a warm tight embrace for an hour and never lets go, even as I worry for my OTP and rejoice in their tiniest moments of happiness whether together or alone. But mostly together because the show rides and rises on the scenes of leads Song Hye Kyo and Park Bo Gum in the same frame. Soo Hyun’s expressions start to open, to soften, to relax, and Jin Hyuk is forever gazing at her like she’s the best poetry compilation he’s ever read, the most riveting picture he’s ever snapped. This is likely going down as my most favorite acting performance from Song Hye Kyo and but Park Bo Gum will need to pull out even more stops to top his Answer Me 1988 Taek perfection. Episode 3 itself was so narratively rich, we see the sharks that surround Soo Hyun and understand how she’s become this way, but feel comforted by Driver Nam and his instant approval of Jin Hyuk and becoming their little cupid guardian. This drama is so shockingly good I’m still softly shaking me head at how it all came together so far. Glad people like this drama and is receiving great ratings but I’m disappointed. I miss seeing Song Hye Kyo so much on the screen but this drama is not for me. I don’t like it and not feeling both actors when delivering their lines or performance. Song Hye Kyo did quite good but not excellent because I’m seeing her past character in this new one. The drama give me the whole pretty noona who buys me food vibes. I don’t like that one either. To be honest I would be proud of this comeback project of Kyo if the ratings is actually worth the hype and production. The story is very repetitive and moving too fast. At some point is very boring. I understand where the story is getting at and the whole platform but it’s not working. Park Bo Gum look too force and not natural. I like him in Moonlight Drawn By Clouds but not in here. Sadly all the positives reviews for Encounter is mostly praising their visual so it’s a let for me. Hopefully fans don’t take this as a negative review, it’s just my intake on the drama. Who ever haven’t seen it should give it a try because it might not be for me but might be your genre. actually there were quite negative respond as the stories go. So, you are not the one who dissapointed. I think is normal, some people like it, some people dont. To be honest i really love this Drama,i love to watched this because of SHK, i am her big fan from Philippines since Autumn in My Heart…. So I decided to jump in and watch the first episode for PBG but ended up siding with SHK and empathising with her character instead. 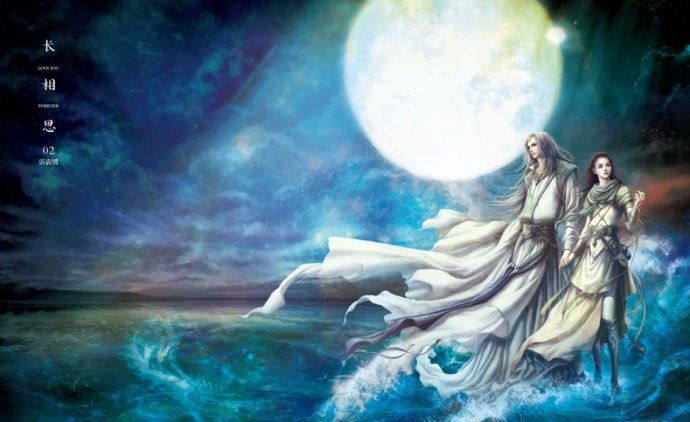 She was very melancholy and you could feel her loneliness as she went about her duties. However the flashbacks gave an insight into her background so it was easier to accept her life as it was. PBG for some reason didn’t feel right in the delivery of his lines and acting in fact it was very stilted and I felt anxious watching him. And I know he rules the roost with his emotions, facial expressions and acting when he does bring it. That aside, it’s the story that has to pick up the pace and I know that more detail will unfold in the next 3 episodes but please it’s like pulling hens teeth waiting for this to happen. And I know a lot of us are interested and invested in the storyline and not just the colour of SHK lipstick; bag; dresses…. Fingers crossed that I stay with this drama to the end otherwise it’s getting parked for a rainy day. This drama and the main leads really have strong star powers because all three episodes are quite blend. The ratings is unbelievable for a very thin plot. Song Hye Kyo and Park Bo Gum did okay but not as being rave over the net. The acting is weak and the whole mother-in-law thing is over due. I’m not a person who expect so much or perfection but this drama really proven that fanbase and star powers played a big role also visual. If tomorrow episode is still the same pace I’m dropping it. 😭 another drama to skip. Tbh the story is OK but am still upset that this is drama shk choose to comeback with because i don’t think we will be seeing her for a long time after this drama but am happy it doing well for her sake. i loved the second episode but the third one was meh for me. will give it a try for 3 more episode. Am so loving this drama and think they deserve this good ratings and hope to see it go up. Both leads including the evil mums portrait their roles very well. Can’t wait to see how the story unfold. Hope it won’t turn too melo and pleaae please don’t drag it like the earlier noona drama which i gave up midway. Episode 1 is very good with the gorgeous cinematographic and Cuba all together creating this heart warming feeling that this will be a very beautiful and meaningful journey of a refreshing story which i really love it. I’m a huge fans of story that have clean romance. But after episode 2 and 3 kick in, this drama turned to be your everyday typical life Korean dramas. It’s a disappointed. The age gap that most people complain about is not a big deal as long as the leads is able to convince me with their game than I’m buying it but for this one is a so so. Will continue to watch the next few episodes to see if the story pick up or else it’ll be a dropped for me too. Since it’s still too early in the drama to jump to conclusion. I’m still not feeling the ratings because i personally think it could have done better. Waiting for Ep4! Love this drama. After you mention Taek – probably yes he’s not reaching that level yet. 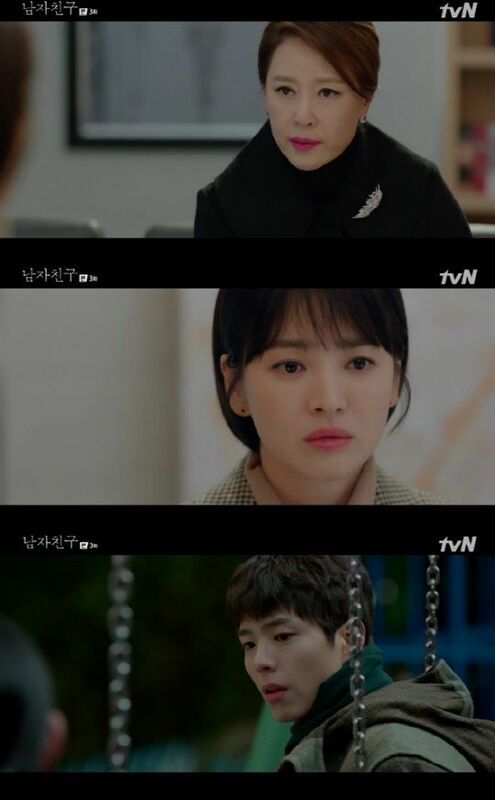 Sorry to disappoint Encounter and the production but this drama does not meet up to it’s record for breaking TVN’s highest ratings drama. The actors failed to deliver a good performance for their characters and I don’t feel their chemistry. This genre is not bad but i actually like it but it really don’t work for this couple. Both are visually beautiful but I can’t connect to anything else. I like this drama a lot. Every character has reasons for what they are doing. Also we are not getting spoonfed with dialogues. Rather paying attention to detail in their body language and glances at each other will make you appreciate the drama much more. This drama is meant to be watched more patiently and demands attention at every frame. If you are not in tune with it you can easily miss some important points and then you will find it boring. The soompi forum has a lot of analysis on some of the scenes which really open your mind to what the screenwriter actually wants to portray in those scenes. This drama is definitely not meant for everybody. Lately kdramas have had a lot of fluffy and comedic romance dramas which have a different audience. Dramas like encounter remind me of melodramas of early 00’s. I can see a lot of people dropping out from this drama due to slow nature of this drama. Alas this drama is meant to savoured with each episode. I agree on everything that you’ve said.. the “ENCOUNTER” really moves me… from the character that SHK portrays.. it really hurts that somebody has a life like her.. (living with no life)… while PBG, huh! So much praises for his acting! He makes me believe that somebody like him in this life really exist! The selflessness and purity of their love for each other i can’t wait where their fate will lead them both! I love this drama. Touch in my heart. Honestly. I can relate to this drama. Bogum innocent look. Kyo is charming. Loving this drama! I see the characters as Soo Hyun and Jin Hyuk not SHK/PBG. I am strongly rooting for the OTP. 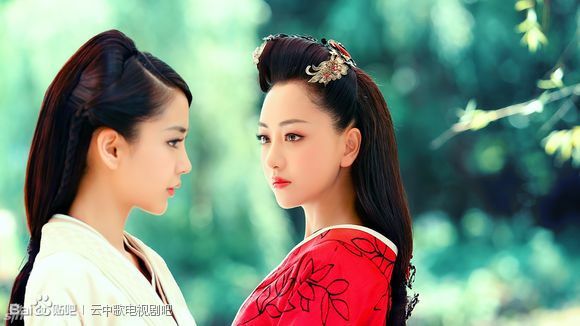 Does anyone know the official genre for this drama? I am with Koala on how this drama blows my expectation. After loving PBG’s performance in Moonlight, Answer Me and I Remember You back to back, I looked forward to his next one. So when I read the name of the writer and the director of this drama and looked up their previous works, I was not excited and pretty much disappointed. Liking an actor does not mean I will watch anything he’s in. But since I kept being impressed with how versatile he is in choosing characters and projects, I had a little bit of hope that there must be something that attract PBG and SHG’s interest. And lo and behold, I love this. I dont know how to describe it, but this is just my kind of drama. Some of the kdrama classics that I remember fondly which I am reminded of when I watch this were MISA, Ijuksa, Snow Queen to name a few. The most recent one is This is My First Life. I love it when the execution and the storytelling was done right with a combination of dialogue, directing, music and acting that blends and works together and the end product was just beautiful. When the episode ends, the feeling lingers and I keep wanting to rewatch it again. These kind of dramas are not the type that I normally recommend to people though. I rarely found anyone around me who treasure such execution like me. When the right song starts at the right moment. When heart-moving words are said. When the pace was just right, not too fast that I cant enjoy the moment, not too slow that I become bored. When camera shows something making it meaningful. Like how they focused on their shoes when he was outside of her house, and under the table. The intro of each episode shows an item that become the theme of the episode. I didnt expect these from the writer and the director. I hope the rating continues to increase, so that the team behind this drama feel that they are doing the right thing, and continue like this. I agreed to all that was saying that these kind of drama has a different way of show casing their message so it won’t be a genre for everyone. 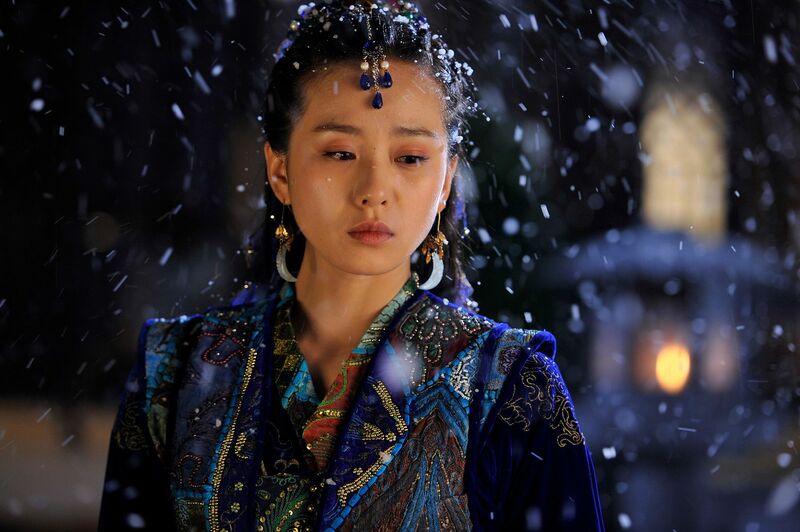 The Snow Queen is my ultimate all time favorite drama even now I still go back to watch it here and there. Love the The Snow Queen so much that here I even bought my self a copy. But for Encounter I kinda know it’s this type of drama but I don’t know it’s just off for me. The cinematographic is outstanding but the story and actors performance is not appealing to me. I will still continue watching 3 more episodes to see it the story and acting developed. I found the episode 3 pretty normal. All the scandal thing was not so interesting. I didn’t feel the anger of the character of SHK, she was more sad. I’m not fan of the close-up, the characters look like they are filming an ad. Read in another forum that koreans had mixed reviews. Despite the high ratings,alot of them are disappointed. This drama is not really pulling me in maybe cos im more into Top Star Yoo Baek on tVN and Fluttering Warning on MBN. I may give this drama another shot after my current favs end and i hv nothing to watch. The cinematography is excellent and the leads are pretty, but the plot is quite tired, so I’m not suprised that there are mixed reviews about this drama. Other than the role reversal this particular plot has been done to death. I wish the writers would introduce something fresh into the plot or they may lose the audience half-way before the drama ends. To be honest, the most interesting part of episode 3 for me was the discovery that SHK’s husband is very much in love with his wife. I keep hoping that the writers would throw a curve ball and make the divorced couple fall in love with each other, reconcile and get back together, with PBG’s character as a catalyst for their re-union, instead of the expected route of her getting a younger boyfriend. It would shake up the story a bit and breathe some life into it, wouldn’t it? I like your idea, it will be fresh and more interesting. I have a feeling that SHK’s ex-husband did not cheat at all, he was doing it to let her be independent. I just hope he won’t turn evil once he finds out about PBG but instead he will be sincere and try to win her love since their marriage was staged by parents. Who will cheer for the second lead? Just not my cup of tea ! I’m enjoying Less than evil and Sky castle. Dance sports club is not bad. I’m watching Fluttering warning even if it has a lot of flaws but .YEH and CJM have an addictive natural chemistry.And finally, MOA the 1st ep was interesting but i’m not in the mood for it. Off of topic, but what is the secret of Jang nara ? She never ages ! She seems even younger than her partners. Oh yay! I’m so glad to see another person who loves this drama!! There is talk about mixed reviews, but the ratings say otherwise. Top stars can’t bring in and keep ratings for a dud of a drama. I could see if the rated fell, but they aren’t. So obviously some people really like it enough for it to be so highly rated. Already watch this until eps 4. Ep 2 actually the best one, other eps just so so. CSH is the main lead in here, but found her part is boring, sometimes I felt that SHK’s acting just too bland, I cant felt her, I think lee bo young is better with this role. I’m enjoying JH part more, especially when he’s with his family. Its refreshing, funny, and cheer me up. Maybe this is the reason why ep 2 is my fav. Because they’re introduced JH’s character in that ep. The only part I love with CSH is when she’s with JH. And why they gave too many parts to CSH-X? I found some of his parts is unnecessary. I don’t think this drama is for someone who is impatient or not paying attention to details because everything in the drama so far from episode 1-4 has different way of telling/ giving out the messages to the audience and if you skip or fast forward then you miss the beauty of it. The writer must be someone who loves art and kudos to her and entire production that so much work into each episode. Example, in the beginning of episode 3, there is an art showing the picture of a princess sleeping and surrounding her head is a gate indicating it is Cha Soo Huyn who gets trapped in her own life, there is a butterfly which symbolizes Jin Huyk landing on her face but she is still sleeping and then the butterfly flied away. That means in this episode she will not accept JH confession. Beginning of episode 4, the girl and the boy are holding hands and surround them are snakes which symbolizes the MIL, the evil mom, the people who wants to drag them down. 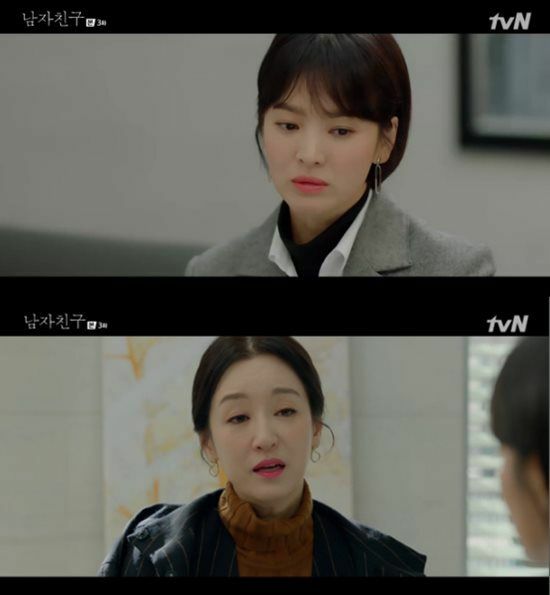 But at then end of the episode, all the snakes were slowly disappeared as it summarize the ending of episode 4 where JH moved forward and decided to save SH from a difficult situation. 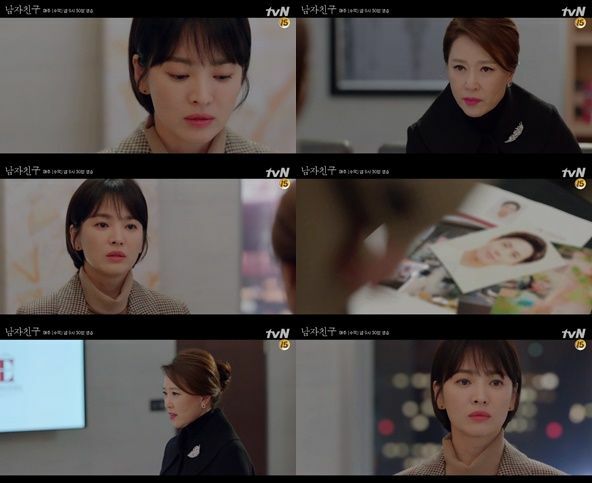 Or every little details in the drama from the way JH gave a piece of kimchi to SH which means : I like you, or the director decided to focus on the shoes movement between SH and JH, while JH told SH that he missed her and wanted to see her, the camera focused on SH shoes as she moved her shoes back ward that means she is hesitant in this relationship. 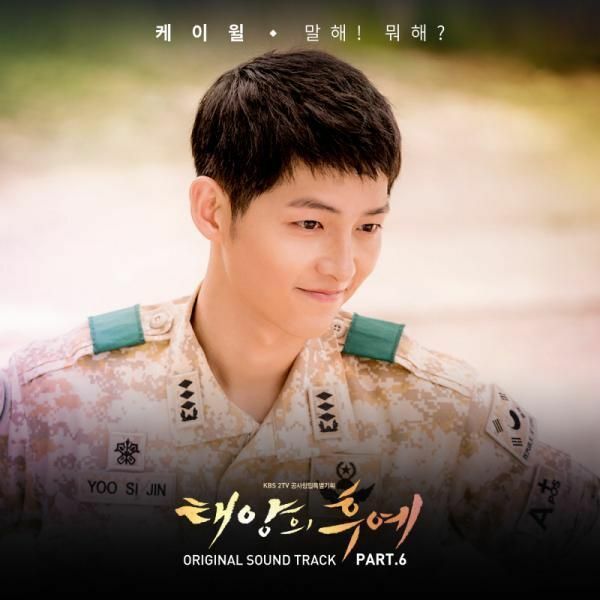 For all SHK fans and encounter fans, we watch it because we love it, we watch it because we think its beautiful and the story touches our heart, why care about the rating and the negative review when maybe the negative review are from those don’t even watch with full attention and don’t appreciate the beauty of it. Cheers and lets be happy that SHK is back to small screen. Don’t let the negative affect our mind.